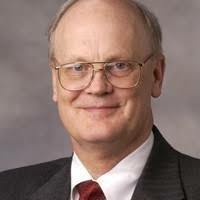 Two Dimensional Instruments, LLC (2di) was founded by the current President and lead engineer, Rick Kaestner in 1998. He and a team of talented engineers wanted to build an easy-to-use instrument that showed what the temperature of a refrigerator did over time. Knowing what the temperature of a refrigerator is at any given moment does not really tell very much about the safety of the item stored in the refrigerator. There was not instrument available that could tell a user what happened to the temperature overnight except for data loggers. Existing data-loggers were designed for engineers and were far too complex for general users. They also lacked the ability to provide real time information, store data, display graphical charts, and accommodate multiple sensor types. So, 2di designed and built the ThermaViewer, an easy to use instrument that showed what the temperature history of a refrigerator was. In seconds the user could tell whether the temperature ever became unsafe and for how long it remained in that condition. The ThermaViewer was a big hit among health-care providers who stored vaccines in refrigerators, they were looking for a device which could warn them if a storage refrigerator got too warm for too long. We design and build sophisticated electronic instruments that monitor, alarm, log and chart environmental conditions. They are used all over the world to protect vaccines and medicines, priceless art treasures, food products and high-value materials stored in refrigerators, freezers and warehouses and comply with federal and industry regulations. Our monitors are made for non-technical people so they can be quickly installed and used with minimal training. 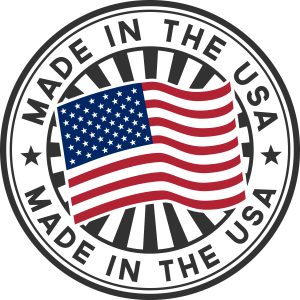 Our customers are health care providers, hospitals, laboratories, museums, and manufacturers of all types. 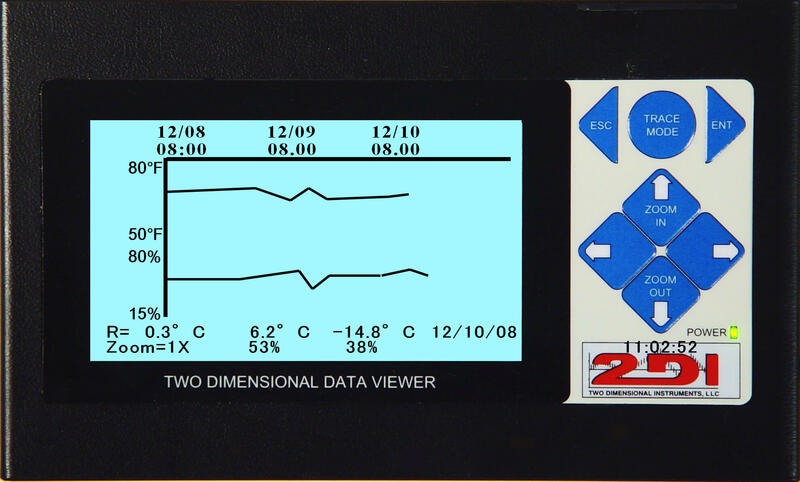 The ThermaViewer 1, our first product, was introduced in 2004. This unique instrument used remote wired or wireless sensors to sample, store and display temperature and humidity history on a large LCD display. All temperature samples were stored in memory and displayed as a paperless chart. The current and historical conditions were always visible on the large screen. Two Dimensional Instruments, LLC (2DI) continues to develop new products using new and emerging technology including IoT and cloud SaaS with the goal of designing instruments that people with a lot of initials after their name can use. Our most popular product is the TV2. 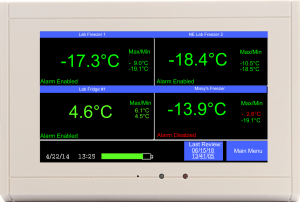 It is the only low cost monitor that also logs, charts and alarms multiple environmental variables. It features a color touch screen with a QuickCheck display showing the current conditions of up to four remote sensors. We also design and manufacture each of the sensors used with the TV2. Each sensor module has its own EEPROM memory to store calibration and other data. Each sensor transmits a digital signal back to the TV2 monitor to guarantee its accuracy. Because of the digital interface sensors can be located remotely from the base station without having to worry about attenuation of the signal. The TV2 monitor operates as a completely independent stand-alone device. It can interface with a PC on the customers Local Area Network so the logged data can be viewed anywhere and printed out as charts or Excel worksheet, but this connection is not strictly necessary. Because of this ability all logged data is stored locally on the TV2 monitor in non-volatile RAM so there is never any loss of data. 2di continues to develop next generation products that monitor, log, chart and alarm environmental variables. We are located near Louisville, KY, the 16th largest city in the US, where we have access to the latest in manufacturing facilities and some of the best engineering talent available anywhere, supplied by two major universities with outstanding engineering schools. 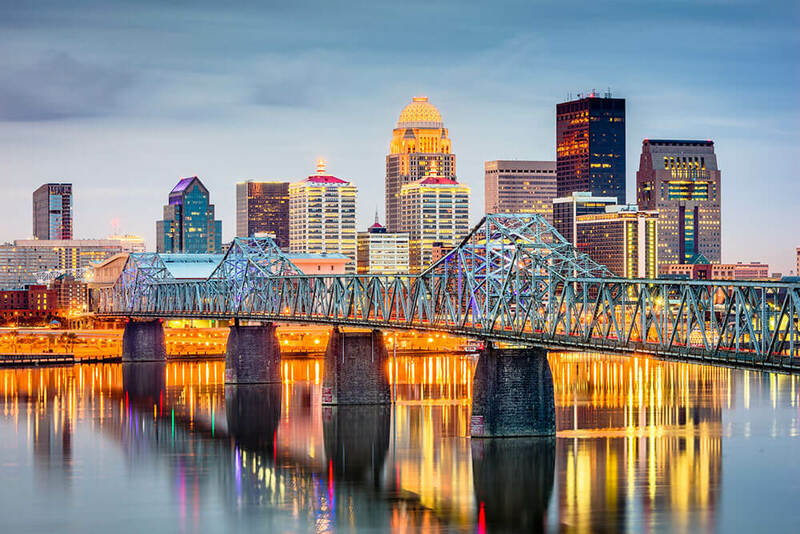 In addition to being located in the lower Midwest, Louisville is also the major shipping hub for UPS, so we can easily and quickly ship to anywhere in the world.